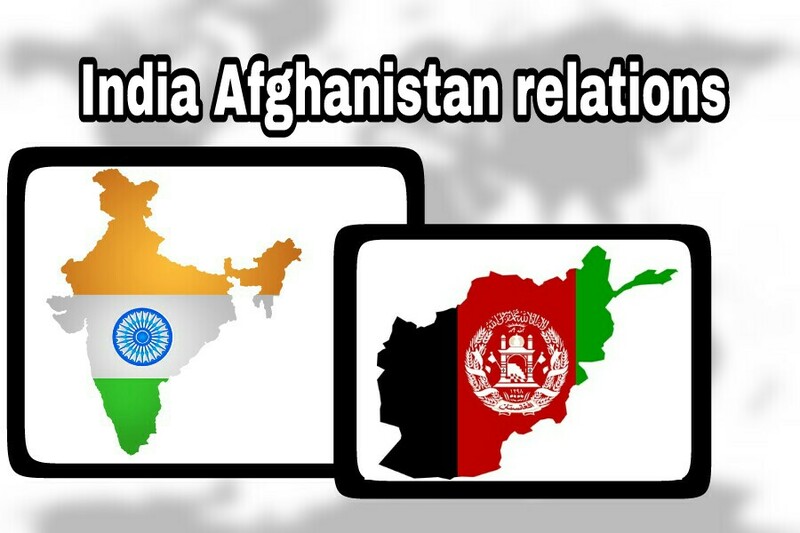 India and Afghanistan have a strong relationship based on historical and cultural links. Since time immemorial, the peoples of Afghanistan and India have interacted with each other through trade and commerce, peacefully coexisting on the basis of their shared cultural values and commonalities. During the Soviet-Afghan war (1979-89), India was the only South Asian nation to recognise the Soviet-backed Democratic Republic of Afghanistan. India also provided humanitarian aid to then Afghan President Najibullah's government. Following the withdrawal of the Soviet forces, India continued to provide Najibullah's government with humanitarian aid. In 1999, India became one of the key supporters of the anti-Taliban Northern Alliance. In 2005, India proposed Afghanistan's membership in the South Asian Association for Regional Cooperation (SAARC). Recently, Prime Minister Narendra Modi was conferred with Afghanistan’s highest civilian honour, the Amir Amanullah Khan Award. India is the sixth largest donor to Afghanistan in diverse development projects in infrastructure, education and agriculture. Construction of a 218 km road from Zaranj to Delaram for facilitating movement of goods and services to the Iranian border. Afghanistan is gateway to energy rich central Asia. Afghanistan is situated at crossroads between South Asia and Central Asia and South Asia and the Middle East. The massive reconstruction plans for the country offer a lot of opportunities for Indian companies. Afghanistan also has significant oil and gas reserves and has rich source of rare earth materials. Stable government in Kabul is essential to reduce terror activities across south Asia also in Jammu and Kashmir. Yet the most important goal for New Delhi remains the prevention of Pakistan from regaining its central role in Afghan affairs. India was the first country Afghanistan chose to sign a strategic partnership agreement with, despite the U.S. and Pakistan keen on doing so. India had promised, in a strategic partnership agreement signed in 2011 to assist in “the training, equipping and capacity-building programmes for the Afghan National Security Forces”. India donated three Mi-25 attack helicopters to Afghanistan as part of the bilateral strategic partnership to counter the Taliban. It has also signed the TAPI pipeline project that aims to bring natural gas from Turkmenistan through Afghanistan and Pakistan to India. During April-December 2016-17, the bilateral trade was to the tune of $590.1 million with India’s exports to Afghanistan being $377.2 million and imports from Afghanistan worth $212.9 million. However, it is still far below potential. India’s main export items to Afghanistan are textiles, pharmaceuticals, tobacco, iron & steel and electrical machinery, while its imports from Afghanistan are fruits and nuts, gums and resins, coffee, tea and spices. Despite the lack of direct land access, India is the second-largest destination for Afghan exports. In the absence of transit route through Pakistan, India depends on other countries, including Iran, to send goods to Afghanistan even though it increases time and costs for Indian exporters. Major stumbling block in trade is Pakistan refusal to provide land route. Afghanistan and Pakistan signed Afghanistan Pakistan Transit and Trade Agreement (APTTA) in 2011 which gives each country equal access up to the national boundaries of both. At present, Pakistan allows Afghan trucks carrying goods meant for India only up to its last checkpoint at Wagah, and not to the Indian checkpoint at Attari, less than a kilometre away. India is keen to join APTTA and Afghanistan has backed India’s readiness to be an APTTA member but Pakistan has so far rejected such a proposal. India and Afghanistan inaugurated a dedicated air freight corridor service. The connectivity established through the Air Freight Corridor will provide Afghanistan, a landlocked country, greater access to markets in India, and will allow Afghan businessmen to leverage India’s economic growth and trade networks for its benefit. It would enable Afghan farmers quick and direct access to the Indian markets for their perishable produce. India is also cooperating with Afghanistan and Iran for development of the Chahbahar Port which provides an alternative route to Afghanistan and Central Asia. In thiscontext, a trilateral transport and transit agreement based on sea access through Chabahar was signed in the presence of the leaders of the three countries in Tehran in May 2016. The ‘India-Afghanistan Joint Working Group on Trade, Commerce and Investment’ meeting discussed ways to make use of the United Nations TIR (International Road Transport) Convention to boost trade between India and Afghanistan through Pakistan. India hosted the 6th Ministerial Conference of Heart of Asia (HoA) at which the Amritsar Declaration was adopted. It called for immediate elimination of terrorism to help Afghanistan in its political and economic transition. State-sponsored terrorism was identified as a key challenge and members agreed upon a concerted effort to dismantle all kinds of terrorism. Russia recently hosted peace conference on Afghanistan on to discuss ways of ending conflict in Afghanistan and establish durable peace. Moscow invited Iran, Pakistan, India, China and five Central Asian States. US was not part of the conference. It would be the third conference on Afghanistan arranged in Moscow in the past five months. Russia’s pursuit of “great power” status and its growing concern over terrorism and narcotic drugs have pushed it to re-enter the Afghan conflict. Russia now believes the Taliban is a “legitimate stakeholder” in the conflict that must be engaged, and is the “lesser evil” than Islamic State/Da’esh forces in Afghanistan. Moscow established links with the Taliban to coordinate efforts against Daesh in Afghanistan. Unlike India and Afghanistan, which believe Pakistan is part of the problem, and voiced their concerns at the Moscow conference, Russia and China believe it is part of the solution. Russian policymakers have extended their hand to the Taliban for the following four strategic reasons.First, by maintaining ties with the Taliban, Russia reminds the West not to ignore Moscow’s interests in discussions of the Afghanistan agenda at regional and international platforms.Second, by supporting the Taliban, Russia intends to strengthen barriers to US interests in the region.Third, Russia feels a threat from the Islamic State (ISIS) in Afghanistan and in the Middle East, particularly its expansion to the north of Afghanistan into Central Asia and Russia. Fourth, Afghan opium is another headache for Moscow. Afghanistan supplies 90 percent of the world’s illicit opiates, which are mostly being produced in territory controlled by the Taliban. Beijing has traditionally been a reluctant dealmaker, preferring to stick to business instead. Of late, it has overcome this pragmatic inhibition, first by joining the Afghan peace process and now increasingly focussing on West Asia. Both China and Russia have been active in the West Asian theatre. Having vetoed U.S.sponsored sanctions against Syria. Beijing has also been reaching out to and balancing the various adversaries in the region such as Israel, Saudi Arabia and even Iran, and increasingly talking the language of reconciliation. Chinese interest in Afghan reconciliation stems not only from a security/terrorism angle but also more significantly to ensure the sustainability of OBOR given its importance in providing access to Central Asia. China has found a new ally in Russia which is keen to work with China, even as a junior partner, to scuttle western interests. India has been a major development partner of Afghanistan and has been favouring an Afghanled and Afghan-owned peace process for the war-ravaged country. India favours cooperation among countries of the region for peace, stability and development in Afghanistan. India supports an Afghan led and Afghan owned national reconciliation process within the framework of the Afghan constitution. India took a hard line, opposing the dominant view from Russia, China and Pakistan to involve the Taliban in reconciliation efforts. Russia’s support to the Taliban will have numerous implications for the future of Afghanistan. It will weaken the central government in Kabul, which may result in the situation like Syria.